Blog Candy Giveaway over at Giovana's! Wow-three posts in one day! I told you I missed blogging....lol! I just have to share that one of my faithful readers has some awesome blog candy she is giving away on Monday November 3, 2008! Her name is Giovana Smith (I tagged her in a previous post) and she has a great blog called "A Place to praise and craft!" Would you believe that all you have to do is guess Giovana's age-and you don't even have to guess right to be included in the drawing for the blog candy? To find out exactly what is in her blog candy giveaway (pictured below), and to find out how to increase your chances to win, go to Giovana's blog! Isn't it just so inviting? Well-what are you waiting for? Hightail it over to Giovana's blog right now-cuz this great deal ends on Monday! By the way-Giovana was the winner of my blog candy giveaway when my blog reached it's first 10,000 hits! Thanks my friend, for the opportunity to win this terrific stuff! Great idea, Giovana-I have a birthday coming up myself on November 27...hmmmm..bloggers, should I offer some blog candy too? (only I don't particularly WANT folks to guess my age! LOL!) 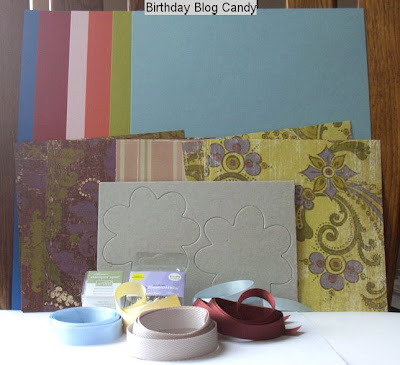 If you would like me to offer birthday blog candy, leave me a comment and let me know! I'VE BEEN TAGGED by a stamper! Roasted Beef with roasted onions, potatoes & carrots! Coffee & Chocolate Chip Mint Ice Cream scoops! This is a fun way to get to know others! I find each of their blogs to be enjoyable, touching, informative and/or creative! Have fun being tagged and tagging others!